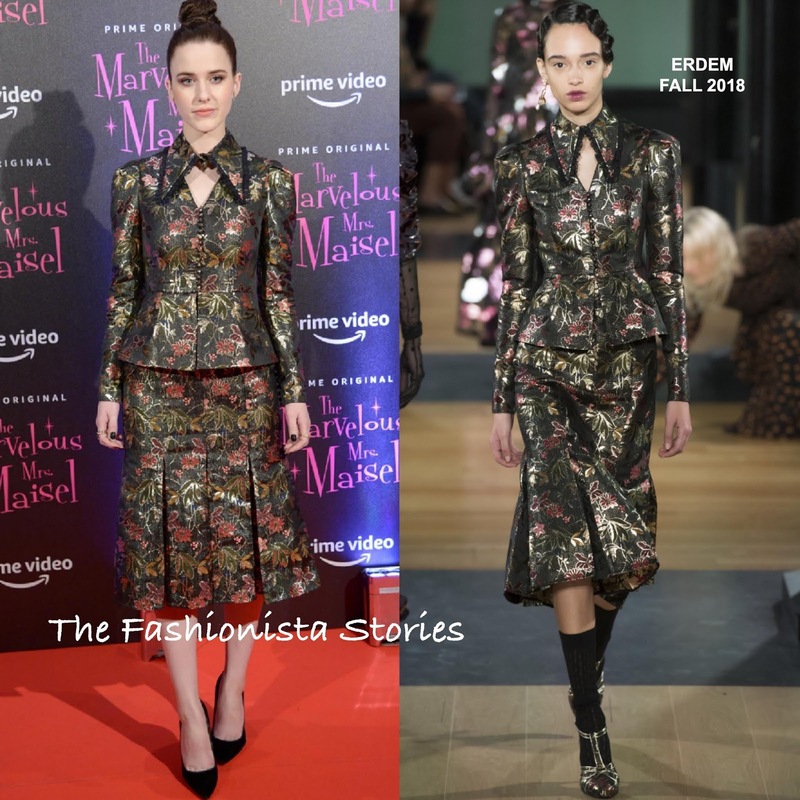 Rachel Brosnahan jetted across the pond to continue promoting 'The Marvelous Mrs. Maisel' and yesterday evening(December 3rd) in Milan, Italy she attended the Season 2 premiere at the Cinema Odeon. Taking on the power suit look, she wore a ERDEM FALL 2018 black floral suit, which featured a lace trimmed collar & triangle neck peplum jacket and the matching pleated skirt with lace inserts. Ensuring that nothing takes away from her sophisticated, detailed suit, she wore her hair in a sleek, twisted up-do. Minimal makeup and black suede pumps finished up her look.